It's been great to get to spend some time with my friends Peggy and Walt while I'm in Vegas. They are the best thing about coming here. 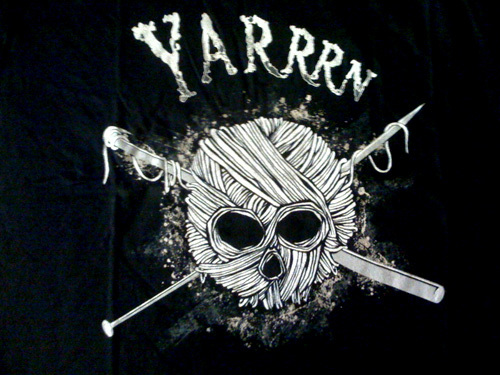 Peggy is a big yarn fan and got me one of these skull and crossbones yarn t-shirts. Love it. Love it, can you tell us where it's from, what brand it is? I don't know - I can ask Peggy. I have that shirt and love it! Got it at jinx.com.